Well, I think I’ve figured out how to make my own Battlestar Galactica uniform. And by Uniform I mean the iconic tanktop set that’s worn under everything (flight suit, deck suit, battle dress, dress uniforms… etc). I have yet to test it, but this is on my things-to-do list. And the best bit is it doesn’t require me sewing! You see, you can purchase a replica, but the ones I’ve found cost an arm and a leg. How am I going to wear it missing said arm or leg? Not cool. In my research I made several discoveries. 1) It is impossible to find the exact dye color. 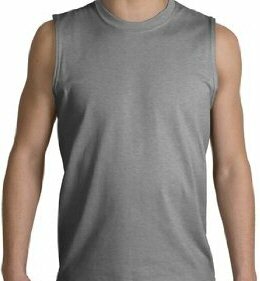 Also, no one seems to know if the tank is olive green or brown or even a grey. Choose whatever you thought you saw. 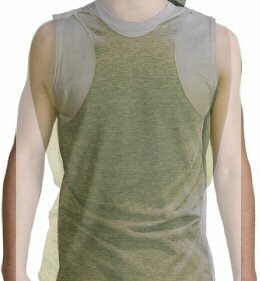 3) The top tank is mysteriously similar to a racer-back worn backwards. (see exhibit b)I will be testing this hopefully before October rolls around so that I have an epic costume to wear. 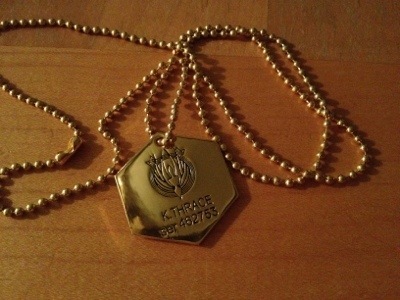 Also, I now have a Starbuck dog tag so the outfit will be even more convincing.